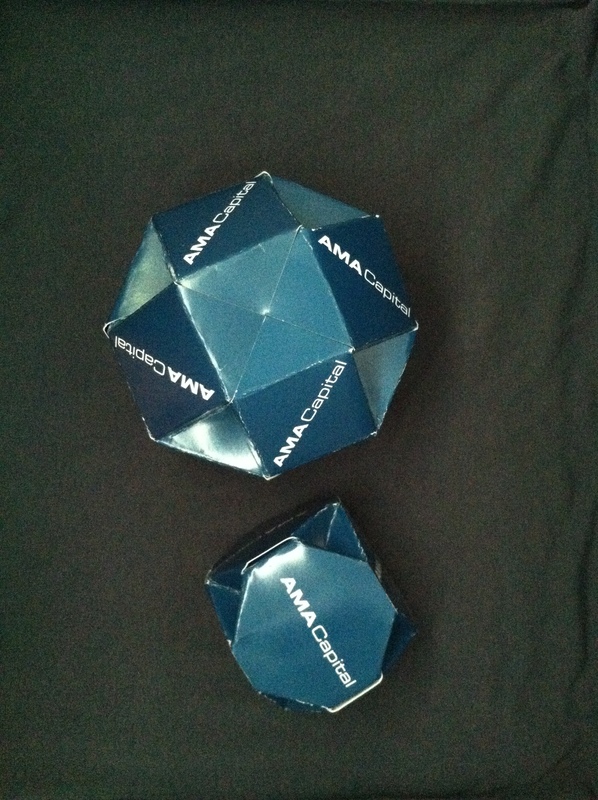 are a fun way to use up the excessive quantities of old business cards that my friends give me (which, of course, they are giving me because of my propensity to fold them into things – a most excellent cycle). 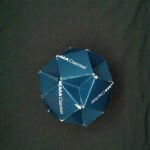 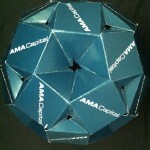 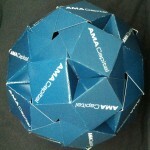 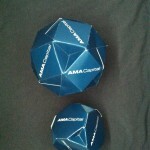 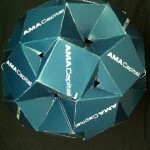 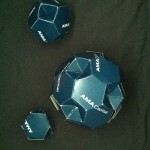 I was most recently given a box of “AMA Capital” business cards and attempted to make as many of the Archimedean solids as possible from them. 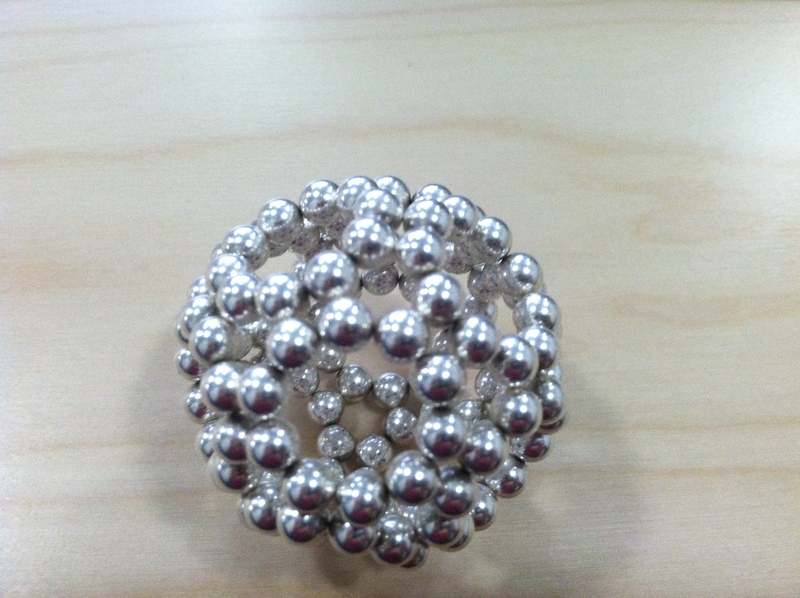 Several of these can be seen in the photo of my exhibit at EBOC. 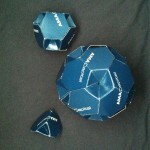 I already knew how to make cuboctahedra and icosidodecahedra, as seen here, but I didn’t know how to make any of the other Archimedean solids. 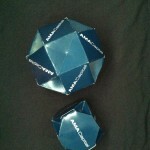 Thus far, I have come up with modules and designs for the truncated tetrahedron, truncated cube, truncated cuboctahedron, rhombicuboctahedron, truncated icosahedron, and rhombicosidodecahedron. 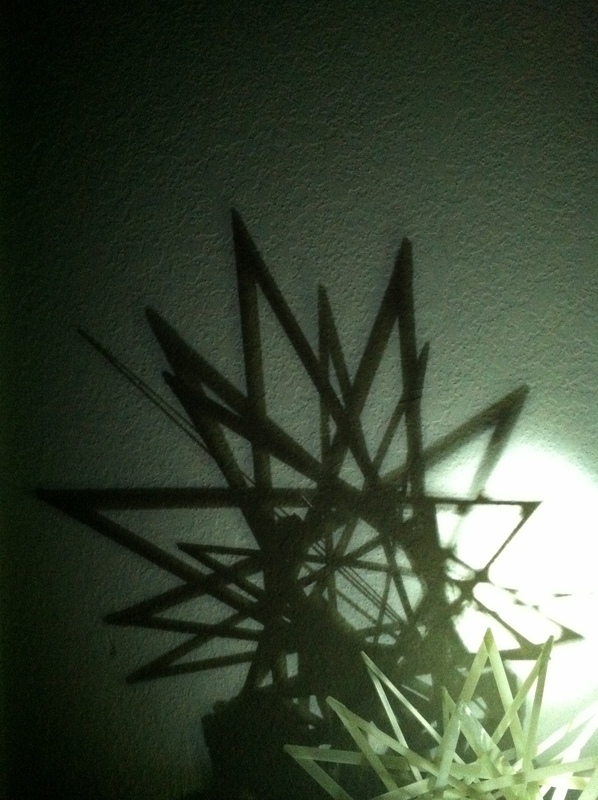 I wouldn’t be surprised if some (or even all) of these designs were examples of parallel invention, but I haven’t seen any of them elsewhere as yet, and I certainly had a fun time coming up with and building them, which is probably the important part. 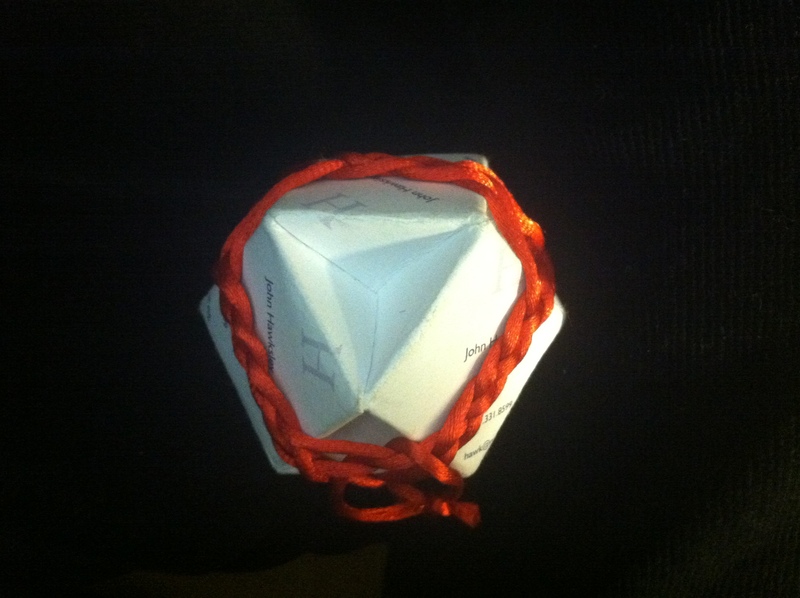 This entry was posted in Life, Math Art, Origami and tagged archimedean solids, business cards, geometry, origami, project on December 3, 2012 by hawksley.